When it comes to thinking about Valentine's Day, one of the first colours that instantly pops into our minds is pink or maybe red. 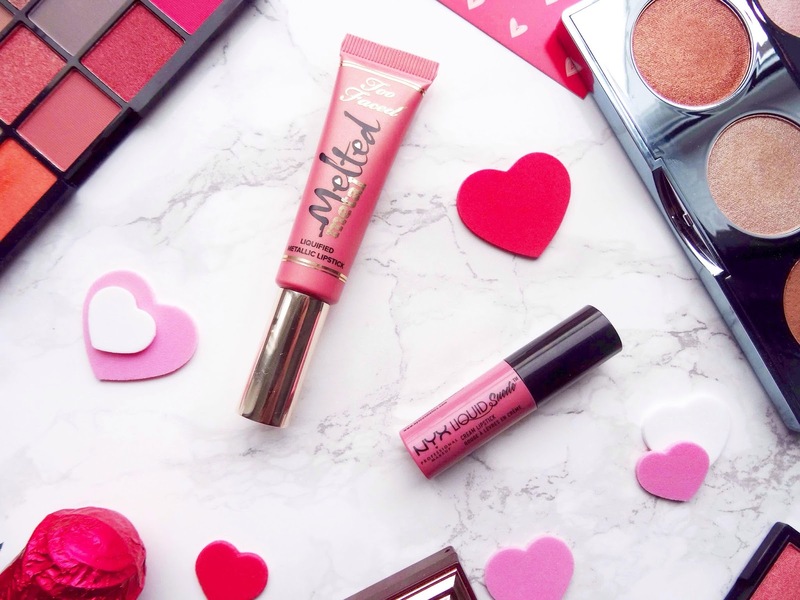 Having said that, we all like to change our makeup and outfits dependant on the season and festivity throughout the year and because Valentine's Day is coming up I'm sure some of us will be leaning towards the pink products we have in our collection. I used to have this blush in my collection years ago, however, I'm not too sure as to what I did with it. It's a really pretty shimmery pink with gold reflexes in it, as the name would suggest. It lasts quite a long time on the cheeks whilst adding that wash of colour. Definitely, say that this looks best on paler complexions. There is no doubt that this palette is beautiful. From the packaging to the insides everything just looks appealing. Rose Quartz, top left, and Winter Berry, top right, are the perfect shades for the celebration. Rose Quartz is a breathtaking dainty pink that has got a slight gold shimmer running throughout whereas, Winter Berry is this muted raspberry blush which needs the lightest of hands when using it as it's very pigmented. This is a special and short mention as we all know that this is my favourite palette. It has the ideal hot pinks alongside the subtle shimmers which makes it perfect for any eye look. Inside this palette are some real gems, the foiled ones to be specific. The shimmers within this palette are more liked pressed pigments as they are on the chunkier side but the pay off from them is incredible. I kind of feel like you need this palette just for the shimmery foiled shadows and the pops of colours that you can achieve from using it. I tend to use this as more of a lipstick topper rather than it alone by itself as I do find that it doesn't show up its true pinky potential. This lipstick is super creamy with visible gold shimmer, not sticky in the slightest, however, it does transfer as it doesn't properly dry down. The formula does affect the amount of time that this lipstick stays on my lips, my main tip is to avoid food and drink with this one. 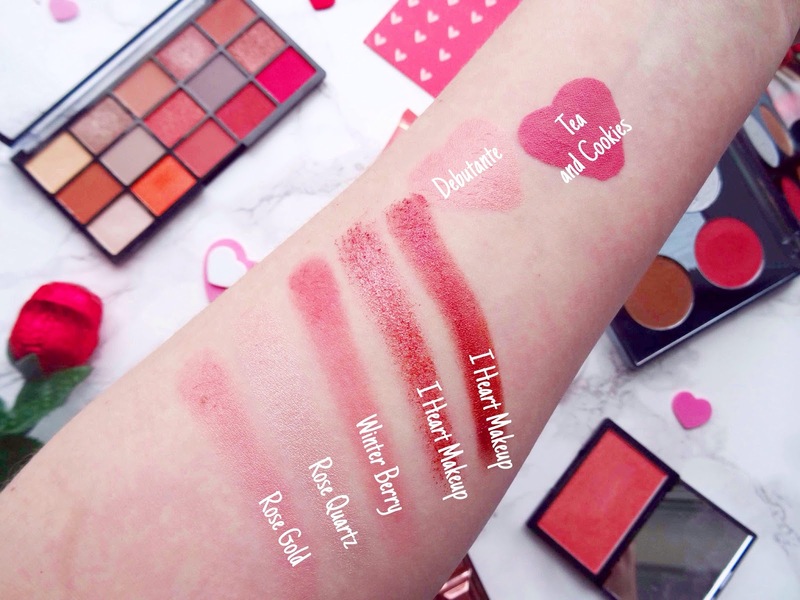 We all know how good NYX's liquid suede formula is and their colour range is noticeably marvellous. This lipstick lasts quite a long time on the lips and I love that although the lip cream drys on your lips it doesn't leave them feeling dehydrated nor do they look dry. Tea and Cookies is a wearable watermelon fuschia kind of pink. 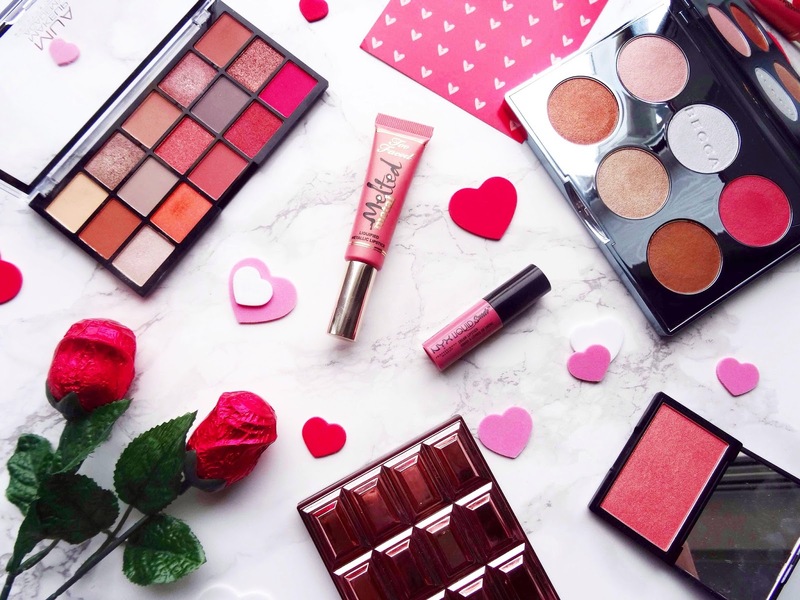 What are you doing for Valentine's Day, have you planned your makeup and outfit or are you going to just be lounging around, like I normally am. Also, what's your favourite pink product you own? Thanks for reading.